EV250B with assisted lift can operate from zero and up to 10 bar differential pressure. 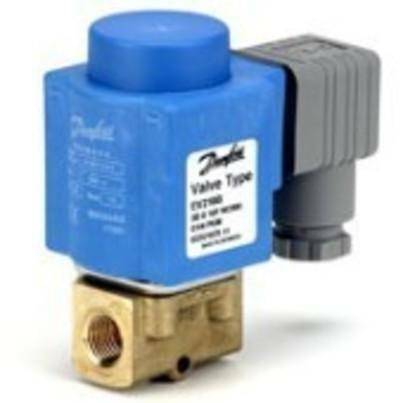 This 2/2-way valve program is especially to use in closed circuits with low differential pressure, but demanding moderate flow rates. Valve body in dezincification resistant brass for ensuring a long life even in connection with aggressive steam media. EV250B is compatible with the broad Danfoss coil program with enclosures from IP00 up to IP67. Medium temperatures up to 140 °C (low pressure steam). 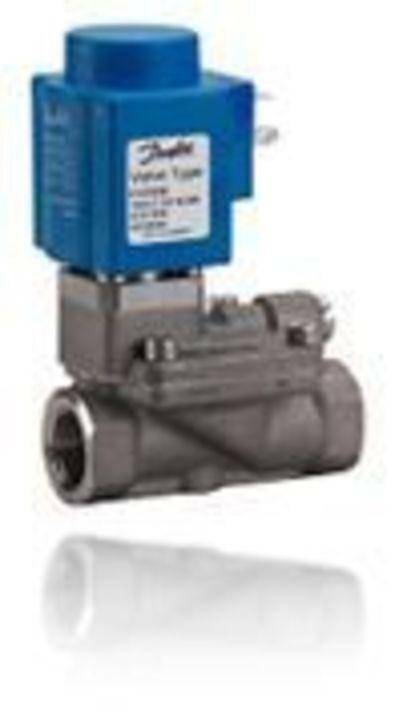 EV225B is a servo-operated 2/2-way solenoid valve for use in steam application. The design is based on a PTFE diaphragm concept, ensuring high reliable function even in connection with contaminated steam. 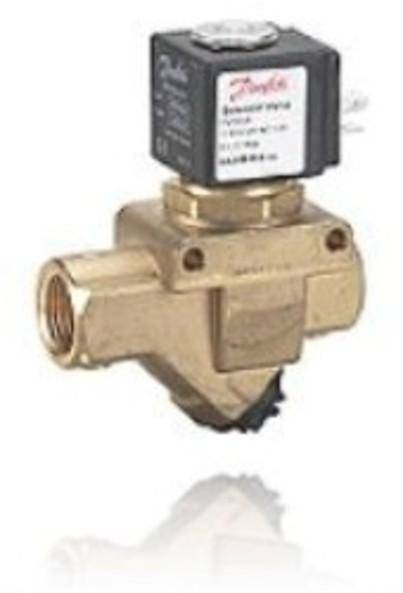 Valve body in dezincification resistant brass and valve seats made in stainless steel for ensuring a long life even in connection with aggressive steam media. Coil type BR can be used on EV225B. 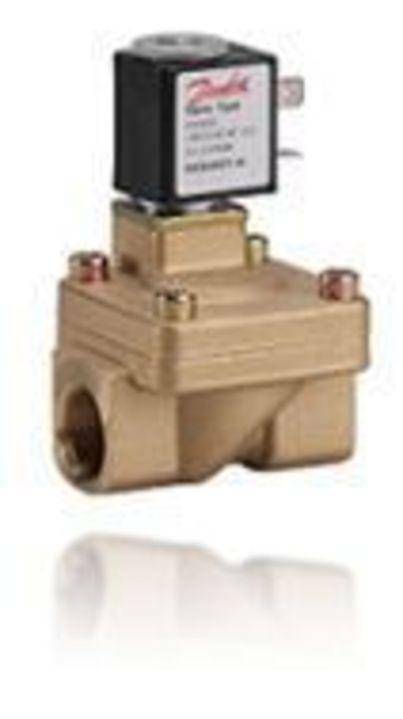 EV220B 65-100 is a 2/2-way solenoid valve program for use in robust industrial applications, demanding high flow rates. 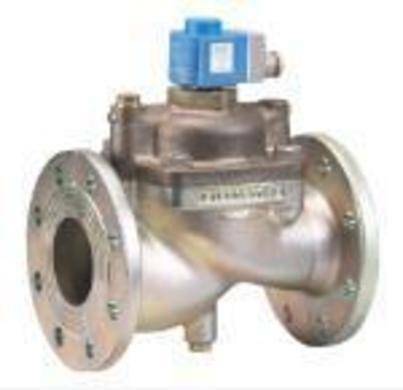 The valve is designed with cast iron valve bodies and flanged connection. Water-hammer damped design and built-in pilot filter ensures a reliable operational period. 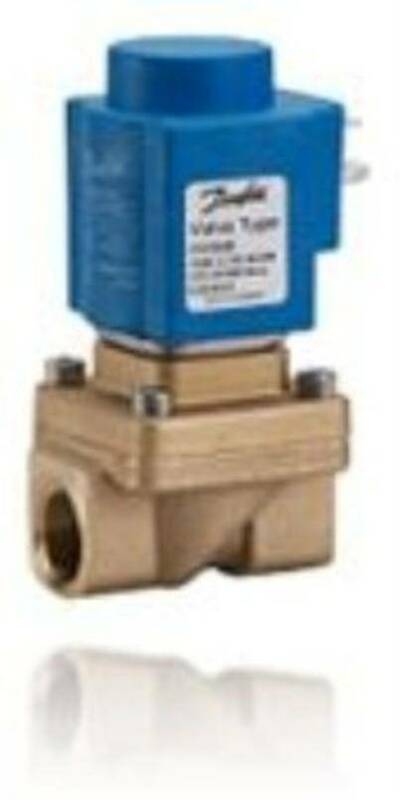 EV222B is an indirect servo-operated solenoid valve program for use in connection with contaminated or aggressive media. Valve body in stainless steel, isolating diaphragm protecting the solenoid system against impurities, build in pilot filter, adjustable closing time, enclosures up to IP67 ensure a reliable and satisfaction function. EV224B is a high pressure indirect servo-operated 2/2-way solenoid valve with working pressure up to 40 bar, medium temperature up to 60 °C and available in NC and NO versions. 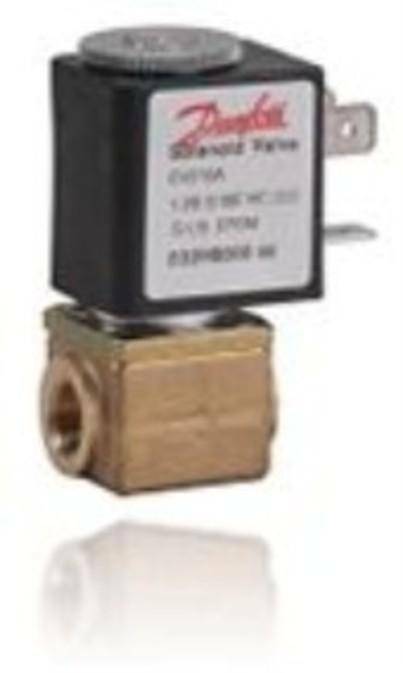 EV220A is a compact indirect servo-operated 2/2-way solenoid valve program, especially designed for use in machines and equipment with limited space. The built-in and interchangeable filter ensures long-lasting problem free operation, even when used with water, oil and air with impurities. 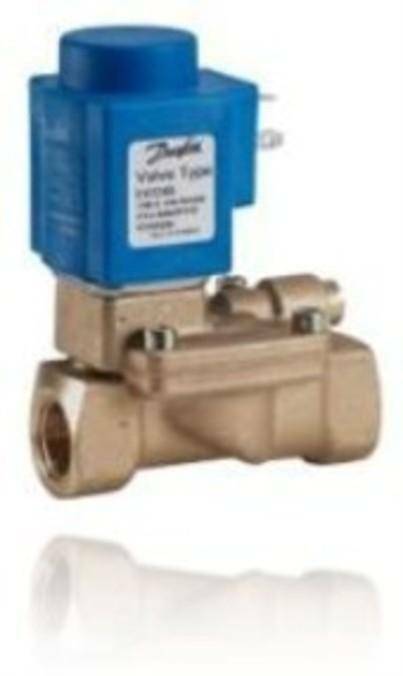 EV220B 15-50 is a universal indirect servo-operated 2/2-way solenoid valve program. Valve body in brass, dezincification resistant brass and stainless steel ensures that a broad variety of application can be covered. Built-in pilot filter as standard, adjustable closing time and enclosures up to IP67 ensures optimal performance even under critical working conditions. 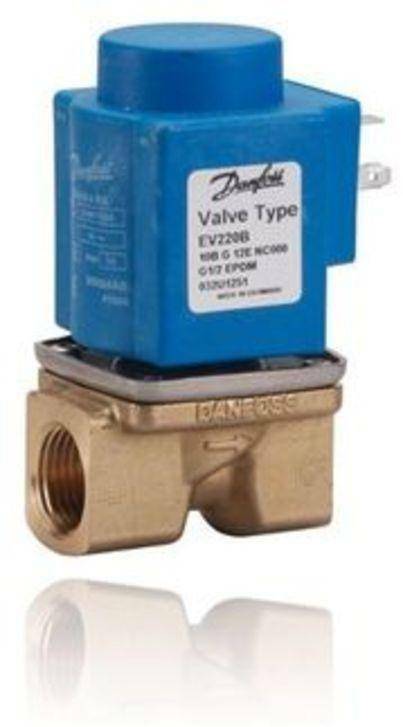 EV220B 6-22 is a direct servo-operated 2/2-way solenoid valve program with connections from 1/4" to 1". 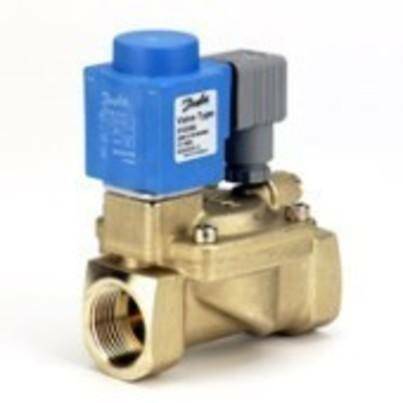 EV215B is a direct-operated 2/2-way solenoid valve for use in steam application. 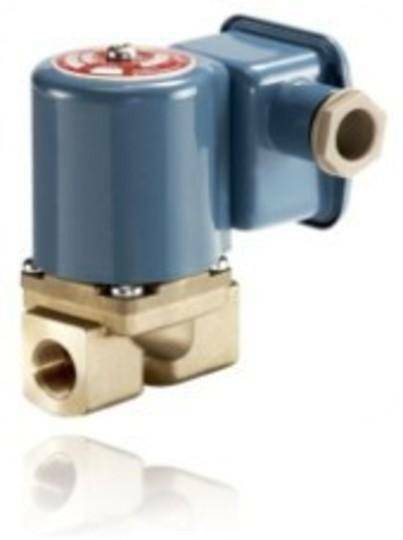 The design is based on the usual Danfoss concept for direct operated high performance valves, but with a PTFE valve plate, ensuring high reliable function even in connection with contaminated steam. 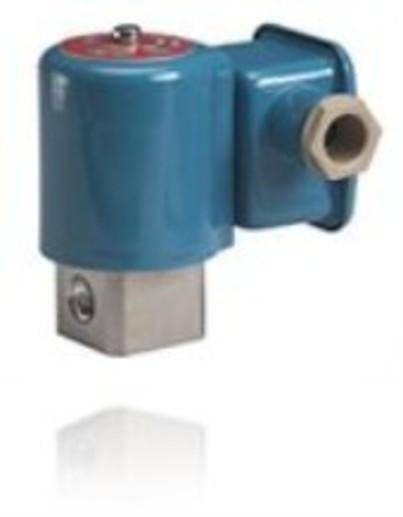 EV210A covers a wide range of small, direct-operated 2/2-way solenoid valves for use in industrial machinery. The compact design together with the broad range of coils means that EV210A covers a broad variety of industrial applications. 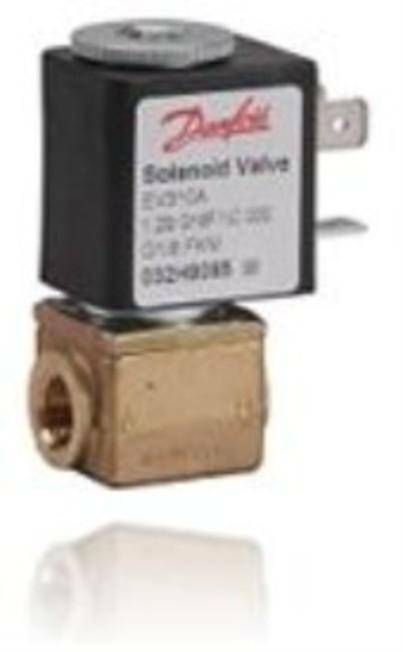 EV260B is a proportional (modulating) servo-operated 2-way solenoid valve program with connections from 1/4" to 3/4". 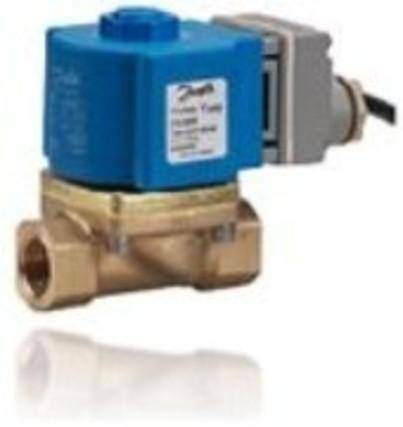 EV310A covers a wide range of small competitive, direct-operated 3/2-way solenoid valves for use within industrial applications, for example pilot valve applications. EV310B covers a wide range of direct-operated 3/2-way solenoid valves for universal use. EV310B is a real robust valve program with high performance and can be used in all kind of tough working conditions. Clip-on coils can not be used on EV310B.